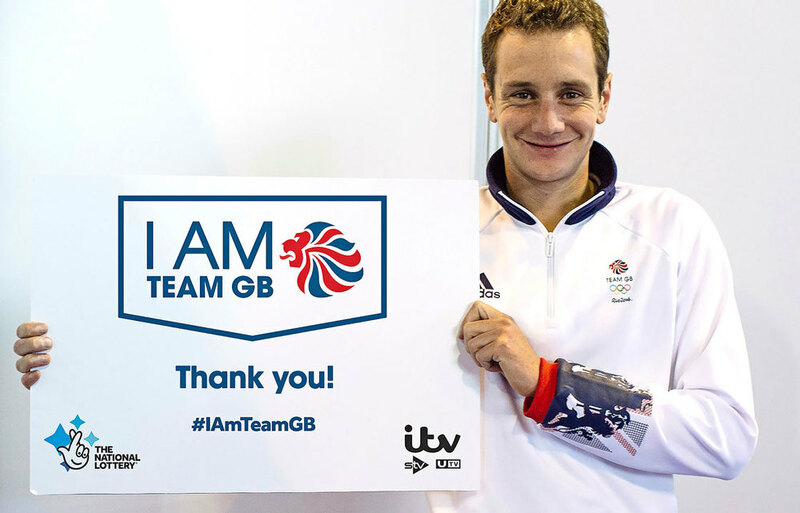 ITV 9am Switch Off: #IAMTEAMGB are you? - Elle Blonde | Luxury Lifestyle Destination | Travel, Events, Food, Interiors, Fitness, Fashion & more. Home Fitness ITV 9am Switch Off: #IAMTEAMGB are you? I read yesterday that ITV is shutting down all seven of their channels for an hour at 9:30am on the Bank Holiday Sunday (27th August) as part of the I AM TEAM GB initiative, which if you haven’t heard of it before, it’s designed to get more people into sport, and is naturally inspired by the current Olympics in Rio that is so attractive and virtually unavoidable. For that whole hour, ITV will be displaying the message “We’ve gone running – why don’t you join us?”, jointly organised by the National Lottery and ITV to celebrate the homecoming of our Olympians this will be the first time in over three decades that the station has not had any programmes broadcast. It’ll be pretty surreal but as much as we are glued to our TV screens this will be an amazing way to give our nation the push it needs to get up from the sofa and outside whether it be walking or running, picking up a tennis racket or even a little bit of beach volleyball there’s something for everybody and best of all, most of these activities are free. There’s going to be thousands of free events hosted by The National Lottery & ITV on the Saturday morning too that the face of the programme Greg Rutherford is championing people to attend. DID YOU KNOW? Playing the National Lottery contributes to £80m annually to support our Olympians in the build up to the games. Running, of which I have a very big love-hate relationship with is one of the best therapies for those who suffer from mental health. When I was at my most depressed stages a couple of years ago, I laced up my trainers and pushed and pushed myself to run. Even signed up for the Great North Run, which I absolutely adored running and will certainly be back in 2017 fitter and faster. For me I’m lucky as the scenery beside where I live is absolutely phenomenal. Within 5 miles I have the pleasure of running along two blue flag winning beaches, two fantastic lighthouses and of course the Spanish City, which if you’re a Dire Straights fan you’ll recognise this from the hit Tunnel of Love. The escape you get from running is amazing and it’s a really great way to get fit regardless of your ability. Park Run UK, which hosts fabulous free running clubs on Saturday mornings at 9am across the UK is also partnering with I AM TEAM GB and is one of the best ways to spend 3 minutes of your Saturday morning. There are people running with pushchairs, dogs and even some walking. The courses are all over 5km and I’ve only taken part in the Whitley Bay and Penrith park runs however as I’m in Liverpool, it looks like I’ll be adding another North West run to my belt the next two Saturdays. I AM TEAM GB is also supported by Pitchero, a fantastic business designed to help sports clubs get up and running on the internet by providing gorgeous and functional websites tailored to the club’s own budget. The sole purpose of the I AM TEAM GB events are not about who is the fastest, the strongest or even the overall best (although if you’re anything like me and super competitive you’ll not want to lose) it’s about getting up off your sofa and heading out to enjoy the fresh air and realise exercise is your friend and it’s there to be enjoyed! Personally here at Elle Blonde, we think it’s an absolutely amazing cause and initiative to get the UK moving more and we will be taking part, we hope you will be too! If you are don’t forget to #IAMTEAMGB on Instagram & Twitter too! What’s on near you? You can find out on the event checker. Next articleAre You In Need Of A Holiday? Undeniable Proof That You Need A Relaxing Summer Break!